Laurie Renfro-Mitchell is currently serving as a Hearing Representative and Paralegal in Homan & Stone’s Workers’ Compensation Department. Laurie has devoted her career to all aspects of workers’ compensation, including her prior experience as a medical treatment provider. She has been certified as a paralegal since 2004. 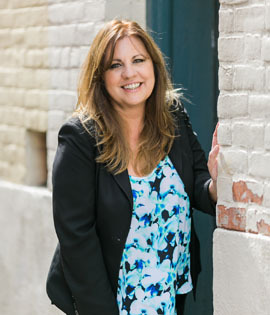 Laurie has since combined her medical background, and extensive knowledge of pertinent case law, State of California Labor Codes, as well as Official Medical Fee Schedule, to create a solid defense of her clients’ interests. Prior to her employment with Homan & Stone, Laurie worked for Callas & Heise and Nakamoto Chou, LLP, working both applicant and defense cases. Over the past 11 years, Laurie has conducted over 200 trials before the Workers’ Compensation Appeals Boards throughout Southern California, earning the respect of her peers and opponents alike.